In the route of your ‘Provider’ make a new folder called Lights. This is where you will keep the max, igs and xml files. We need to make a Point light gizmo. 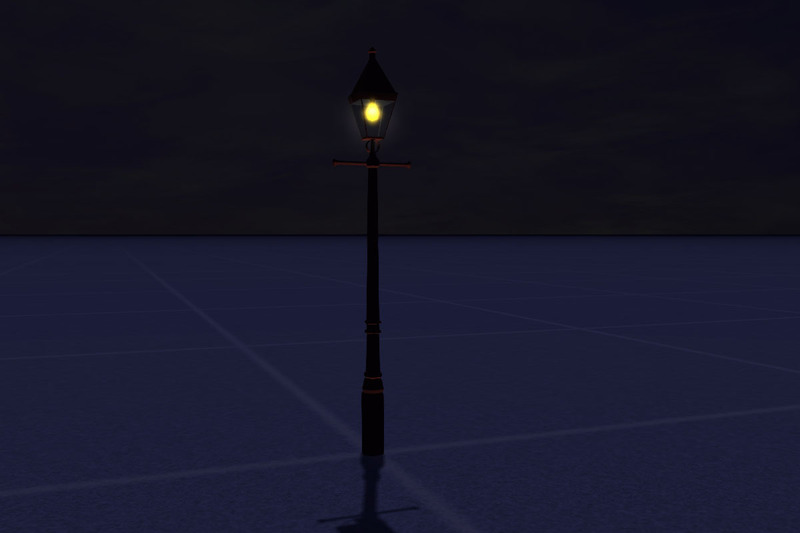 This is what we will use to determine where the light effect gets generated from. This gizmo you will be able to move around in the Asset editor. I have made a 30cm Diameter sphere with a Tex material, the texture is a bright pale yellow, 64/64 pixels, planar mapped from the top. This I centred at 0/0/0 in max. Export this into a igs file. 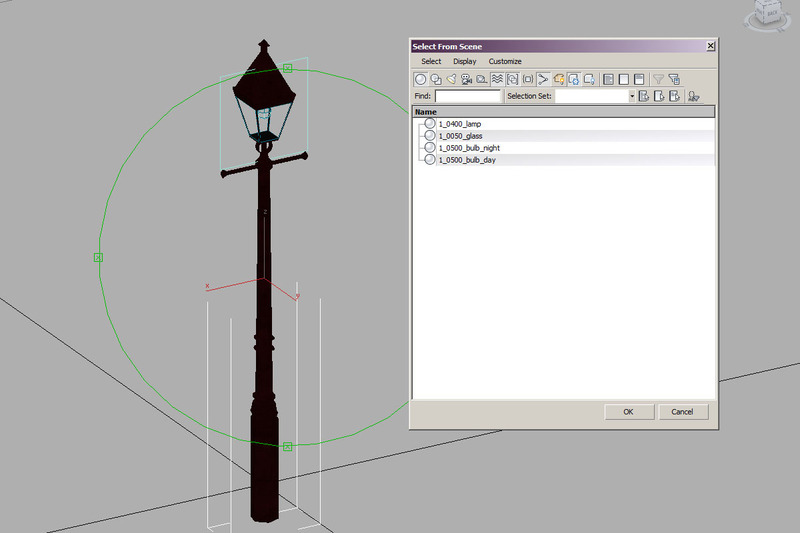 Step 2 Make the point light xml. 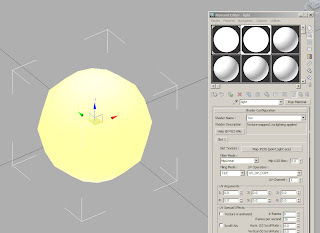 Right click the point_light.IGS in the asset editor and click new shape blueprint and select point light blueprint. Treat this just like any other scenery object, name it in the relevant fields, and give it a provider product in Primary named texture set. Give your light a colour, I picked a warm yellow/orange. Select your object and lift it up in the scene. You will see that it now emanates light. Experiment with the light and radius values to get the desired effect you want. 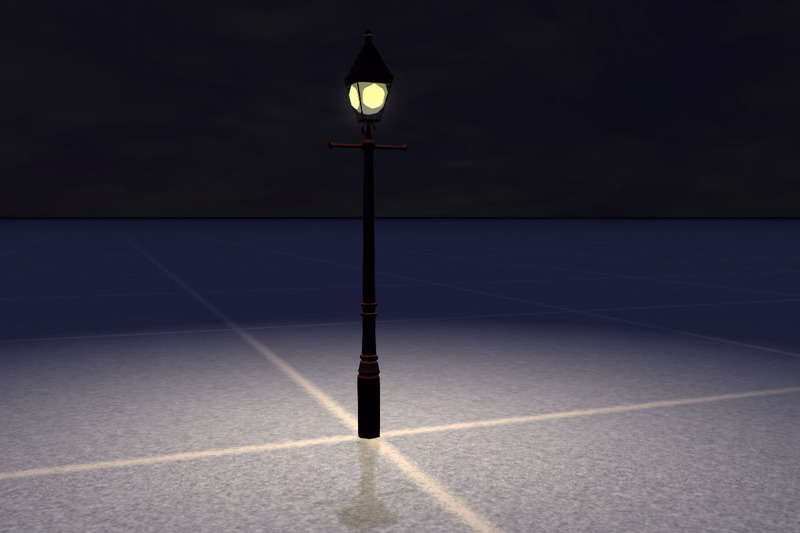 Step 3: Light Asset Creation. I have a 4th object which is the glass. Material 1 used on 1_0500_LampPost. It can have any material you want, I have a TrainBasicObjectDiffuse. It uses 1 256/256 texture which I boxed mapped. Material 2 used on 1_0500_bulb_day. It can have a tex or a TrainBasicObjectDiffuse. 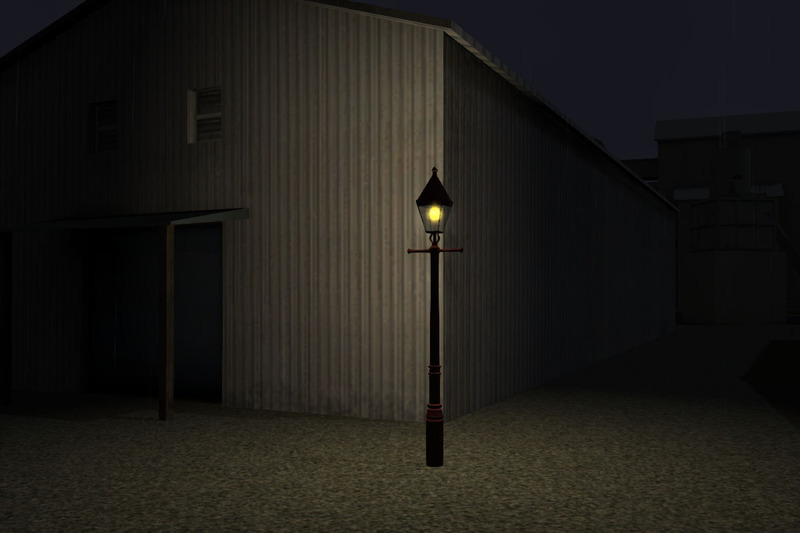 It uses 1 32/128 texture which I planar mapped. Material 3 used on 1_0050_glass. 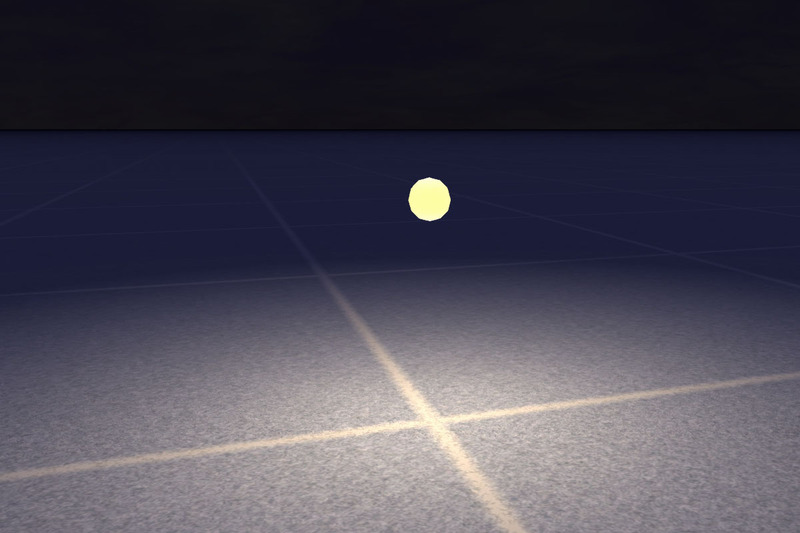 It has the Trainglass.fx shader explained in a previous blog post. 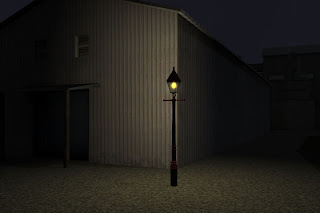 There is a second element (but part of the same object) to 1_0500_bulb_night which is a simple plane centered through the bulb. This plane uses material slot 5 which is AddATex. The texture is all black except for a faint glow in the centre. make sure you name this with _nm so that it does not get compressed. This material has the View facing flag ticked under the Viewer Facing options. NB The bulbs are named so that the day bulb will show during the day and the night bulb will show at night. Step 4: Bringing it all together. 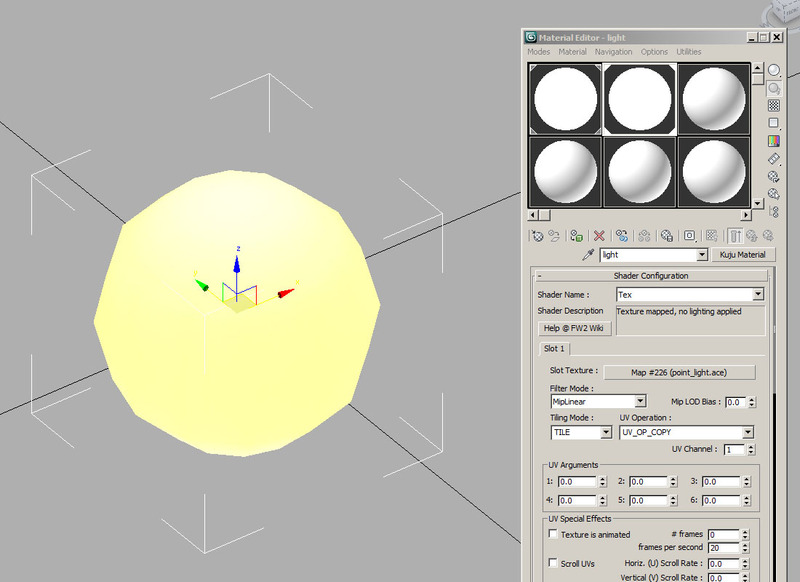 In the asset Editor right click the platform_light.igs and select New shape blueprint, then select scenery blueprint. Preview shape, you lamp should be as you expect it. Click on the day/night button and see your bulb glow. Name the relevant fields, and give it a provider product in Primary named texture set. Expand Children and click insert first. Give the Child name/provider product and select your previously made point light and click preview. Your point light orb will be at 0/0/0 select it and move to the correct place. 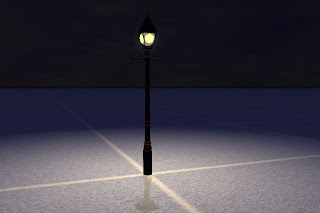 Your light should now be viewable in game. Much thanks Derek, there will be a few new posts over the weekend. If you have the time please point out any misunderstandings I may have on 3DSMax or the Art Plugins. Hi Derek do you still active here ?? Yes, sorry, but ask on my very latest post. I very rarely go back to older posts. Can you please make a video tutorial on this?